Step 3: Move the cursor to Settings in the top right-hand corner of the screen, then click Extended Wi-Fi from the drop-down menu. 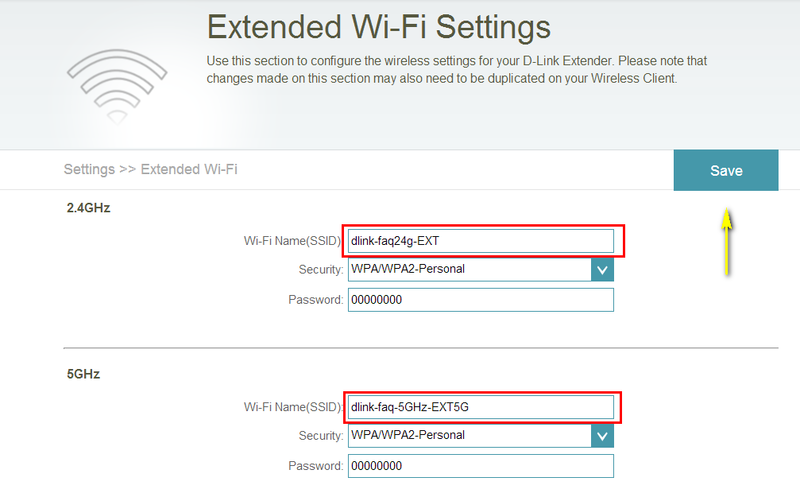 Step 4: Enter a new SSID in the Wi-Fi Name (SSID) field. This can be done separately for both the 2.4 GHz and 5 GHz bands, and each band should have a different SSID.